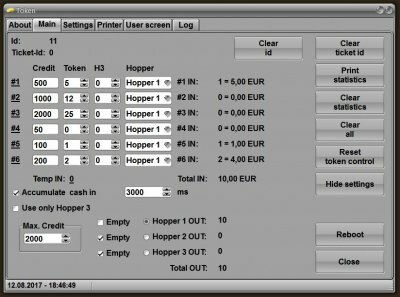 With the TOKEN-Package it is possible to realize a simple vending machine for e.g. car wash.
and which front plate, e.g. "F1 black/red" or "F6 black/red" or "F6 black/silver"